Entrepreneurs are using excess ugly produce to reduce food waste and fight hunger. The movement is also inspiring gratitude for the natural beauty all around, however oddly shaped, or wrinkly it may be. There's a place for oblong eggplants, scarred apples, and multi pronged carrots, and it's no longer your compost bin. Sure, food scraps and slimy greens can find a healthy home there. But according to a group of food entrepreneurs, it’s time we start thinking bigger. What are “ugly” fruits and vegetables actually good for? More than you’d think. Today, ugly produce makes plant-based eating more affordable, helps fight hunger, and reduces food waste, which is present at almost every step of the supply chain. A recent analysis by ReFED found that American consumers, business, and farms spend a total of $218 billion a year "growing, processing, transporting, and disposing food that is never eaten." That’s not to mention the enormous cost to the environment. According to the Environmental Protection Agency (EPA), food is the largest stream of materials occupying American landfills. Once in landfills, it decays into methane - a gas said to be 34 times more harmful than carbon dioxide. Over the past few years, the market for ugly produce has begun to rapidly expand. Across the country, for-profit start-ups like Hungry Harvest, Misfit Juicery, and Full Harvest are gathering fruits and vegetables that farmers and grocery stores would otherwise toss, and redistributing them to consumers. Among the most successful is Imperfect Produce, based in the San Francisco Bay Area. The start-up’s executives, Ben Simon, Ben Chesler and Ron Clark, joined forces back in 2015 to help “ugly fruits and vegetables” find their way into weekly community-supported agriculture (CSA) boxes. Imperfect Produce is trying to re-educate Americans about the value of ugly produce through instagram posts with punny captions. Why? About 20 percent of all fruits and vegetables never make it off the farm simply because they fail to comply with industry standards for perfection. Supermarkets exclusively select produce that’s unblemished, brightly colored and uniform in size so it can fit into pristine, symmetrical displays, and attract buyers. In other words, they turn down a lot of perfectly good food. To combat this problem, Imperfect Produce sources directly from high quality growers in California. It gathers what are commonly termed “misfits,” ugly fruits and vegetables that are just as delicious and nutritious as their unmarred brothers and sisters, and sends them straight to people’s doors for 30 to 50 percent less than what they traditionally cost in grocery stores. “We find that it is really easy to convince people when they realize they can pay a fraction of the price to get the same kind of taste and health,” Ron Clark told the New York Times. Now servicing Los Angeles, the Bay Area, Portland, Seattle and Chicago, the start-up offers subscribers the choice of four box types, each of which is fully customizable. The standard organic fruit and veggie box serves one to two people for a week at $15 and six to nine at $39. In the winter months, the latter might feature bunches of daikon radishes, beets and kale, pounds of carrots, potatoes and green beans, and a couple grapefruits, oranges, and mangos. But that’s just the beginning; at $39 to $43, subscribers receive close to 25 pounds of produce each week. Beyond that, Sage recognizes how the box has influenced her cooking. She feels more inclined than ever before to eat plant-focused meals, which she aspires to do for environmental as well as health reasons. “I genuinely look forward to my box’s arrival and the time I spend in the kitchen with it,” Sage says. 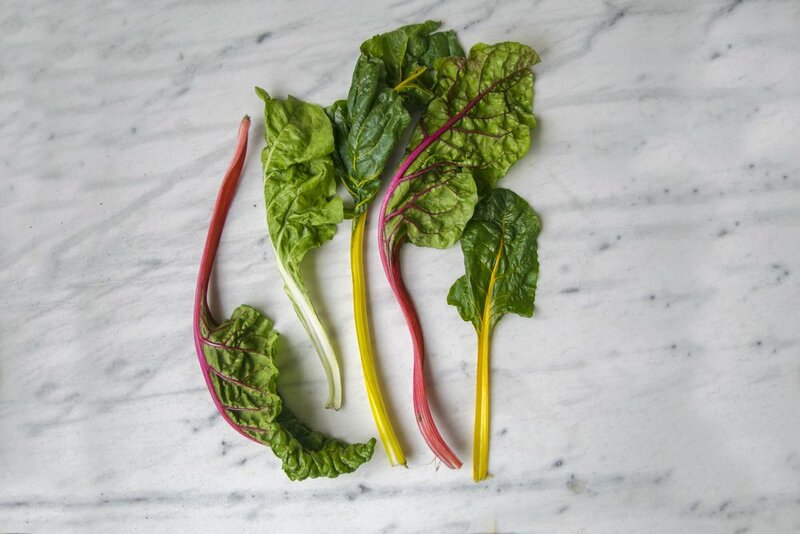 Her most recent obsession is rainbow chard. Making ugly appealing to shoppers. Activist Jordan Figueiredo is pushing ugly produce thinking outside the CSA box. At Ugly Fruit and Veg, a group primarily focused on inciting activism, Figueiredo is helping to pioneer ugly produce sections in national supermarkets. He has already successfully petitioned Whole Foods Market and Walmart to sell ugly produce in part through punny awareness-raising campaigns on social media. The Ugly Fruit and Veg Instagram mostly features photos and memes of misfit produce striving for empathy. Other images simply make an effort to educate followers about the impact of food waste. Back in August 2017, Figueiredo demonstrated his support for the American Farmland Trust by exposing statistics about land degradation and water loss. He is now focused on petitions at Target, Sobey’s, and Albertsons, the latter of which has already gathered over 40,000 signatures. A photo of "twisted carrot love" from the Ugly Fruit and Veg Instagram. Turning ugly food into meals for the hungry. There’s another reason to salvage misfit produce: to fight hunger healthfully. Forty-two million people face hunger in the United States according to Feeding America. Many organizations are using surplus produce to help meet that challenge. The USDA’s published list puts the number of food rescue organizations throughout the country at close to fifty. Among them is 412 Food Rescue, a nonprofit based in Pittsburgh, PA. It offers an Ugly CSA similar to what’s offered by Imperfect Food and Pittsburg-based Hungry Harvest, but at 412 Food Rescue the goal is to get surplus produce to those who are food insecure. Within two years of its founding, the organization had recovered "over 1.5 million pounds of food." It recently developed an app that allows anyone in the community to assist with deliveries. Entrepreneurs transforming misfits into cash. Startups like Misfit Juicery, Fruitcycle, and Pulp Pantry are finding innovative ways to repurpose ugly produce. According to Misfit Juicery, which is turning ugly produce into juice, "20 billion pounds of fruits and veggies go unharvested or unsold every year in the U.S." Founded in 2015 by then Georgetown students Philip Wong and Ann Yang, the company has since produced a line of seven cold-pressed juices using "oddball produce farmers can’t sell." Their products are now being distributed along the East Coast between Washington, D.C. and New York. Wong and Yang continue to look for ways to expand their reach. At the heart of their efforts is the belief that every vegetable has innate worth and deserves a second chance. Takeaway: You too can keep perfectly good food from entering the waste stream! It’s easy, affordable, and good for the health of our communities, and the global environment. Here's a quick look at what you can do. Subscribe to an Ugly Food CSA. If you live outside of the delivery range for Imperfect Produce, not to worry. Hungry Harvest offers customizable and affordable ugly harvest boxes too; they now deliver throughout Maryland, Washington, DC, Virginia, Greater Philadelphia, Southern New Jersey, Northern Delaware, South Florida and The Triangle Area in North Carolina. Petition your local grocery store or supermarket to sell ugly produce. With Figueiredo’s help, it’s easy to #DemandUgly! Follow this link to sign petitions and send comments to larger corporations. There’s always a way to do more! Support your local food rescue group by sending in donations or volunteer your hand distributing food. Using this Food Rescue Locator to find an organization near you. Bring 412 Food Rescue to your city. If you live in Chicago, San Francisco, or Philadelphia, you will soon be able to use the 412 Rescue app in your own community. Contact them to get started. For more information about organizations fighting food loss and waste in the United States and abroad, check out this list from Food Tank.